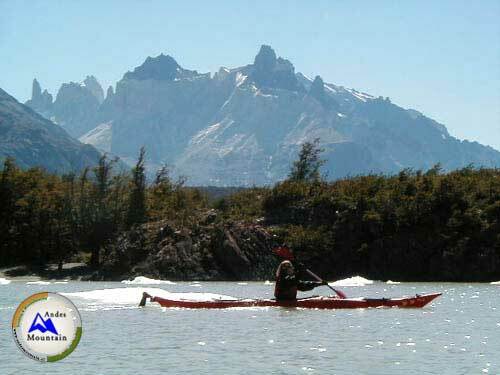 Sea kayaking trip tour goes from Torres del Paine down river through Serrano river until the sea besides mount Balmaceda. From here we will back in vessel to Puerto Natales. Finish at Ultima Esperanza Fjord. Sail from Ultima Esperanza to Puerto Natales by motor boat. When: Request under reservation. At least two weeks in advance.